SEEDS Fourth Annual Conference - Building Families, Inc. The Society for Ethics in Egg Donation and Surrogacy – SEEDS Fourth Annual Conference is underway!! 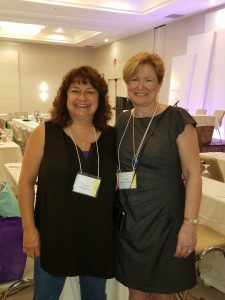 Carol will join other professionals, including Gail Sexton Anderson pictured with Carol below. They will discuss the current U.S. legislation for egg donation and surrogacy. The goal is to always make a difference but to avoid the many potential pitfalls while doing so. It is a collaboration of the many fields necessary for a successful outcome for the Intended Parents and their Egg Donors & Surrogate Moms. ← One Step Down – Now to Wait for the Pregnancy Test!